There is something about a homemade Apple Pie. The crust, the filling, the love and energy that has gone into it. All of those things combined just makes it taste that much better! 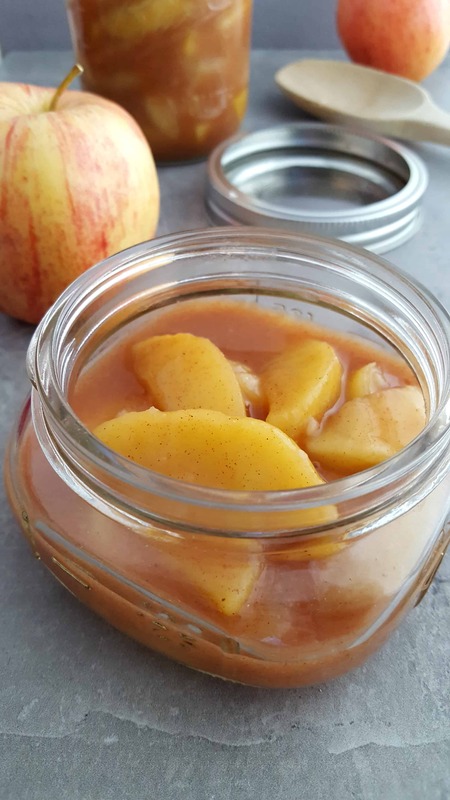 This Apple Pie filling recipe won't disappoint either! 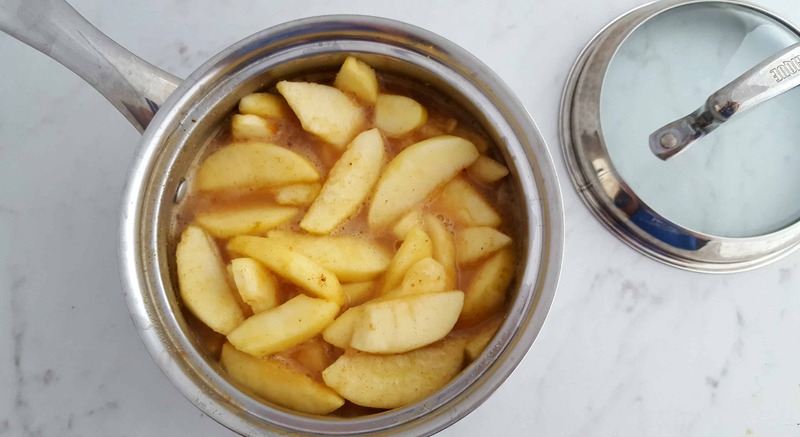 While it will take time to prepare, you can make a big batch in advance and even freeze it. This will help some with the time savings but you won't skimp on the flavor. 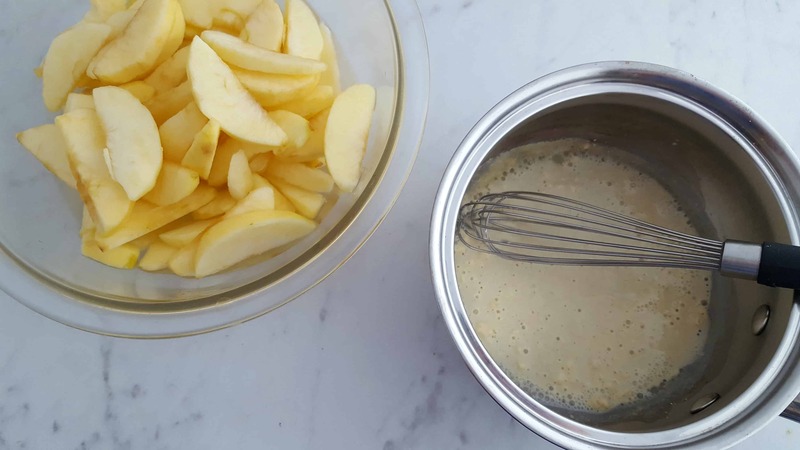 In a saucepan, combine cornstarch and ¼ cup of water and whisk until blended. Add sugar, cinnamon and nutmeg to the saucepan, and whisk to combine. minutes or until apples have softened. Remove from heat and allow the mixture to cool and thicken before using. You can also make a homemade pie crust to go along with this, or the store-bought works just as good! This filling would work great in a hand pie too. Make some and freeze so you can throw them in the oven at a moment's notice! Looking for the best Peanut Butter cookies recipe? Look no further! 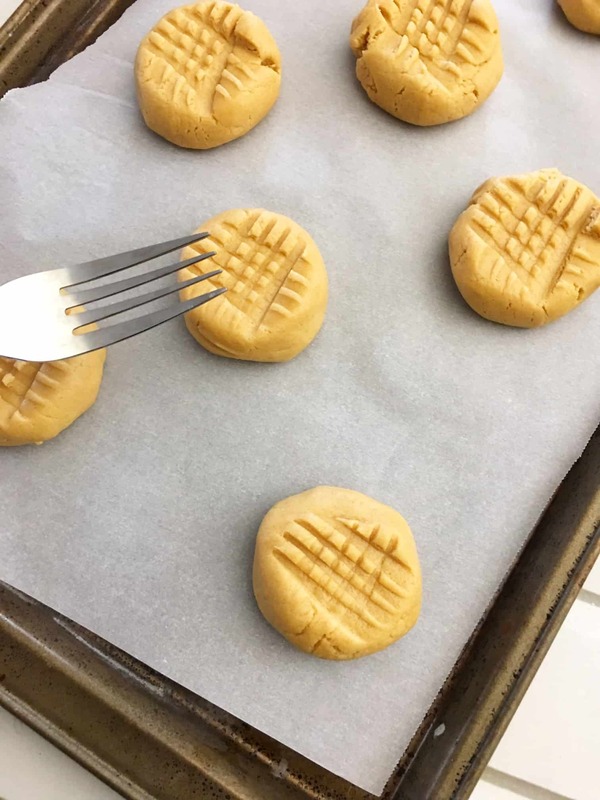 These Peanut Butter cookies are a classic! They are made with simple ingredients. I almost always have everything to make a batch in my pantry. Usually when I'm missing an ingredient it's actually the sugar. 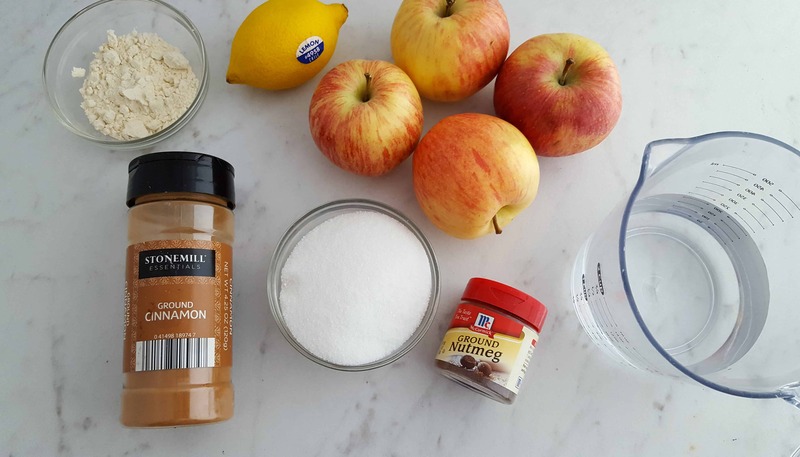 We just don't add a lot of refined sugar to everyday recipes, so I rarely have much of it on hand. I'm always looking for easy cookies to make too. 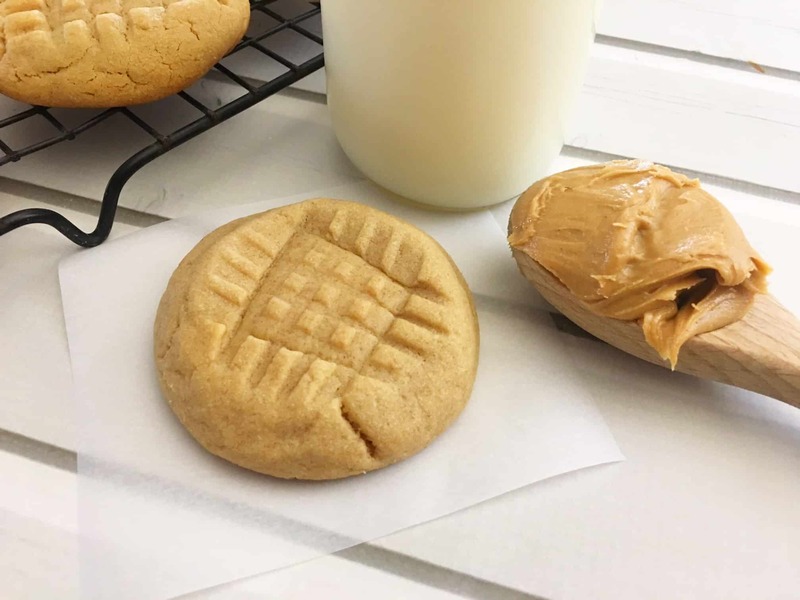 These simple peanut butter cookies are about as easy as they come! You really only need to get one bowl dirty to prepare these. That is my kinda recipe!! Preheat your oven to 350° and line a couple baking sheets with parchment paper or a silicone baking mat. 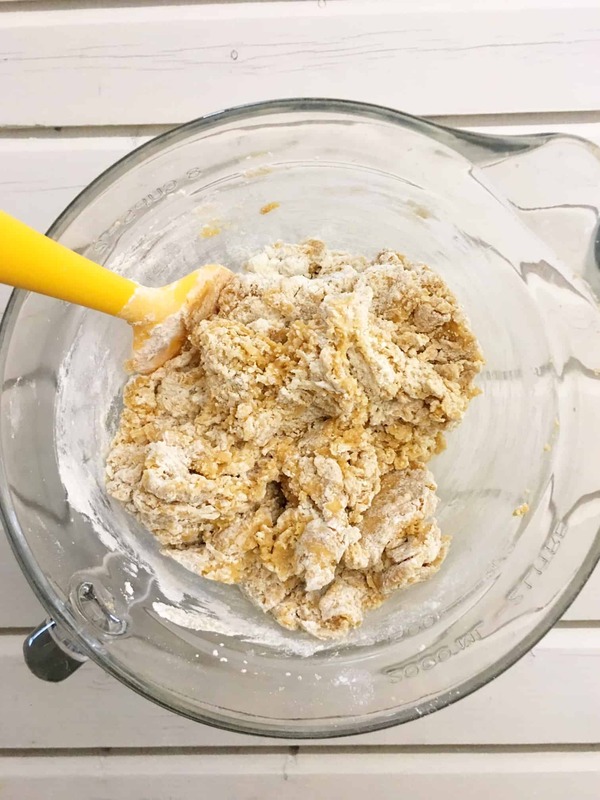 In a large mixing bowl combine your softened butter and your sugars and mix using a hand or stand mixer. 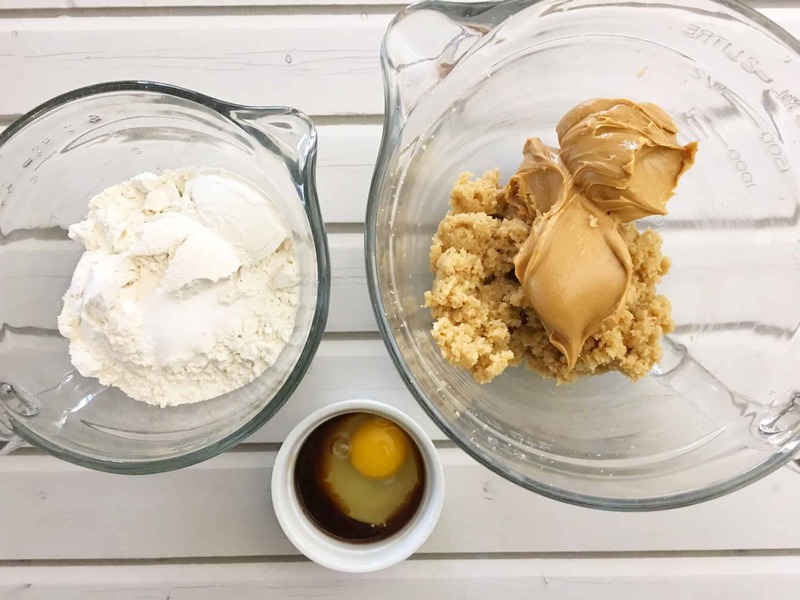 Mix in your peanut butter and then lightly mix in your egg and vanilla. Then mix in your flour, baking soda and salt. Form your dough into golf sized balls and place on your lined baking sheet. Use the end of a fork to press a cross cross pattern onto the top of your cookies (this will flatten them about halfway). 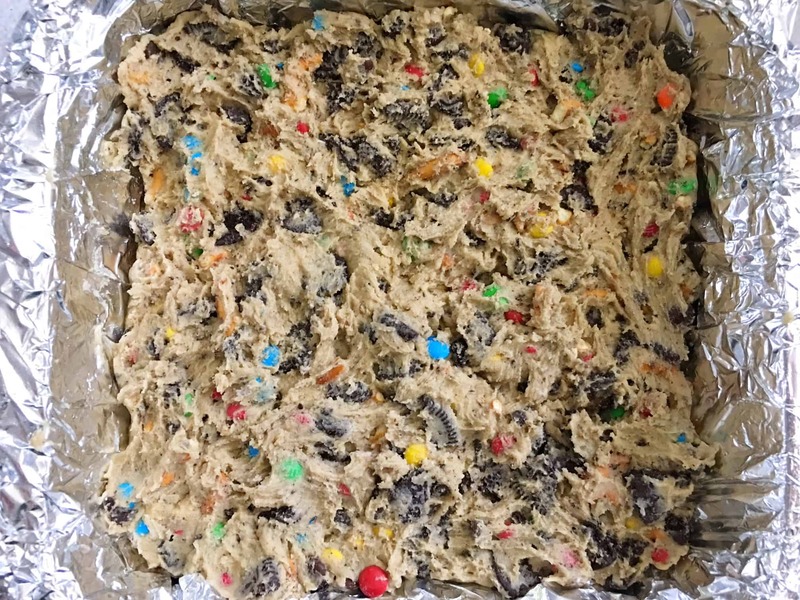 Bake your cookies for 11-13 minutes. Enjoy! 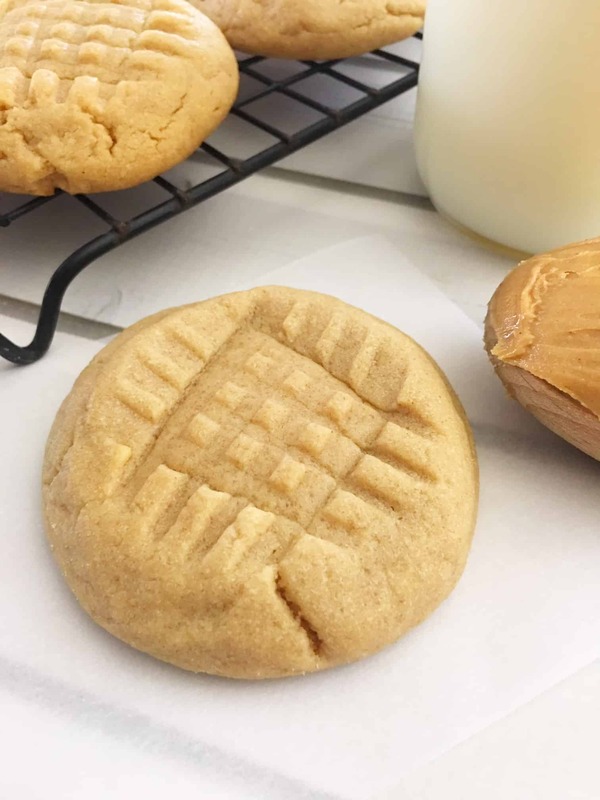 You can't beat old fashioned peanut butter cookies! You can prepare these in advance and refrigerate the dough. You can also freeze the cookie balls and thaw/bake when you have a sweet craving. If you're craving more sweetness and decadence, drizzle some melted chocolate over the top of each cookie. Nom nom!! These Gem Chocolates are just fun! Well, they taste pretty darn good too but how could chocolate not taste good?! These would be perfect to make for a special party, or perhaps a wedding or baby shower. Use different colors of melting candies depending on the party's colors. You could also make some for the holidays with blue and green chocolates. Use silver and gold edible glitter to make a fun, festive party goodie bag! 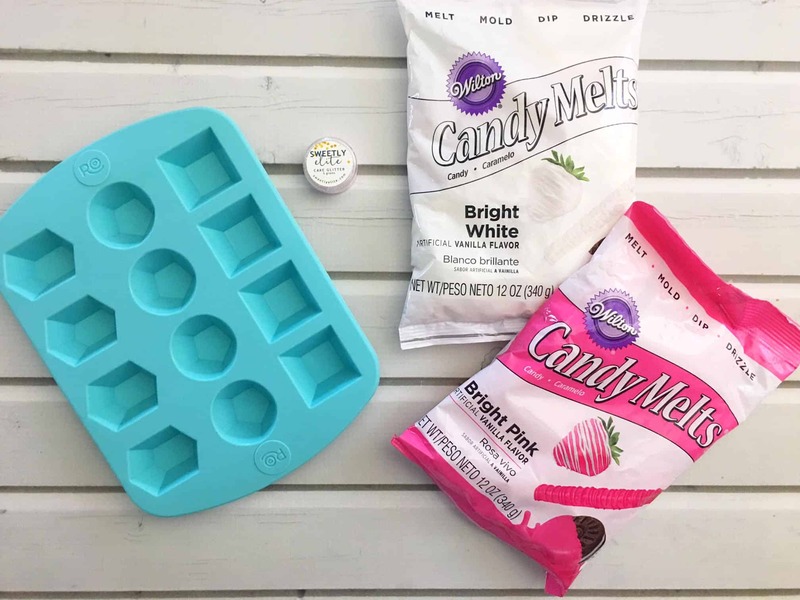 Place your pink and white melting candy in separate bowls and microwave each separately for 2-3 minutes, stirring every 30 seconds until melted. 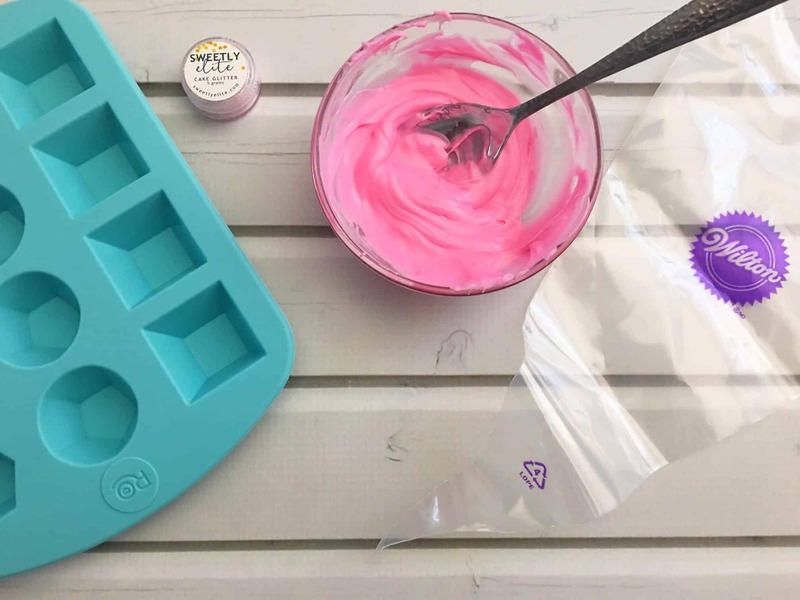 Scoop your pink and white melted candy into 2 separate decorating bags and cut a small tip off the end. 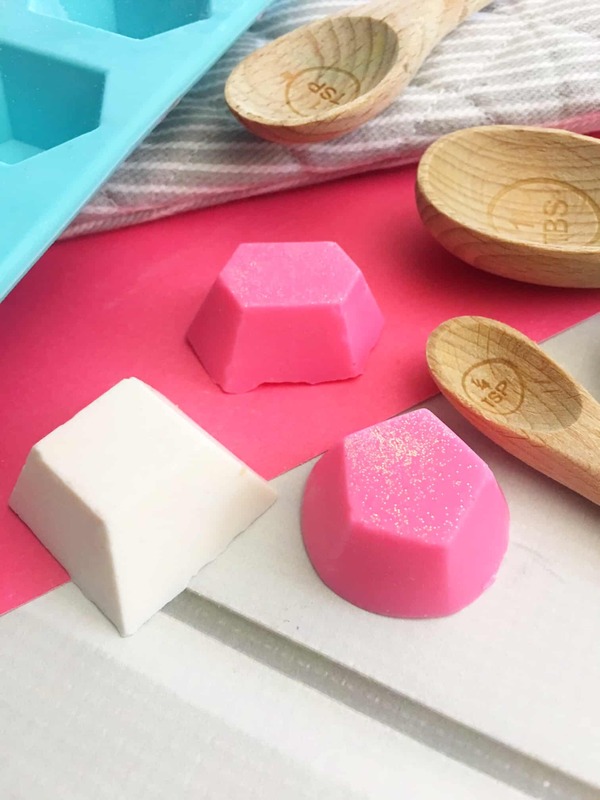 Rub a tiny bit of edible glitter inside the gem molds. 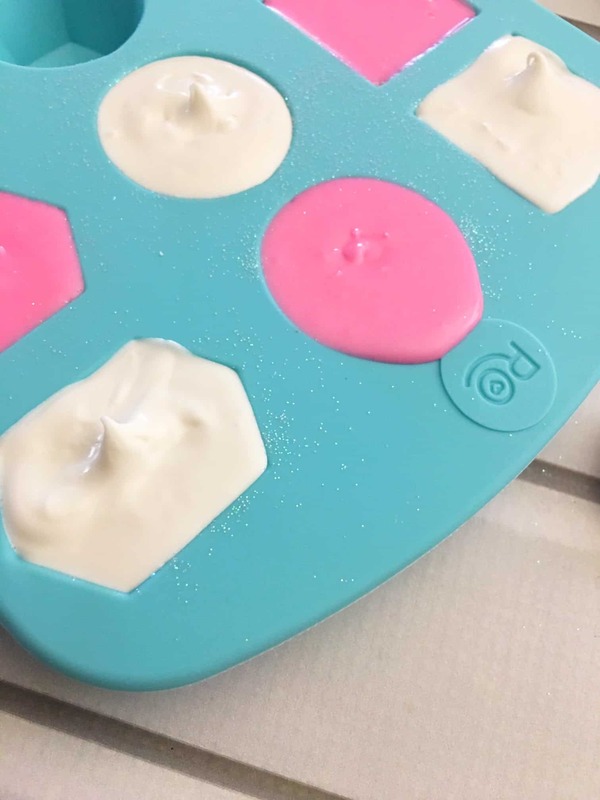 Squeeze your colored melted candy into each game mold and carefully pick up the mold and tap it onto the counter several times to prevent air bubbles. Transfer your gems to the freezer for 20 minutes and carefully press up on the bottom of each gem to remove them. I'd love to see pictures of your glittery gems so please share them on our Facebook page if you try this recipe! 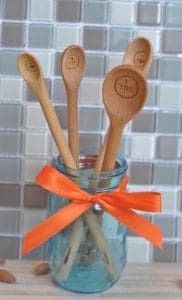 Use our favorite long handle measuring spoons to measure and stir the ingredients together without much mess! Who doesn't love a cookie bar with a little bit of everything amazing thrown in? I know I can't! 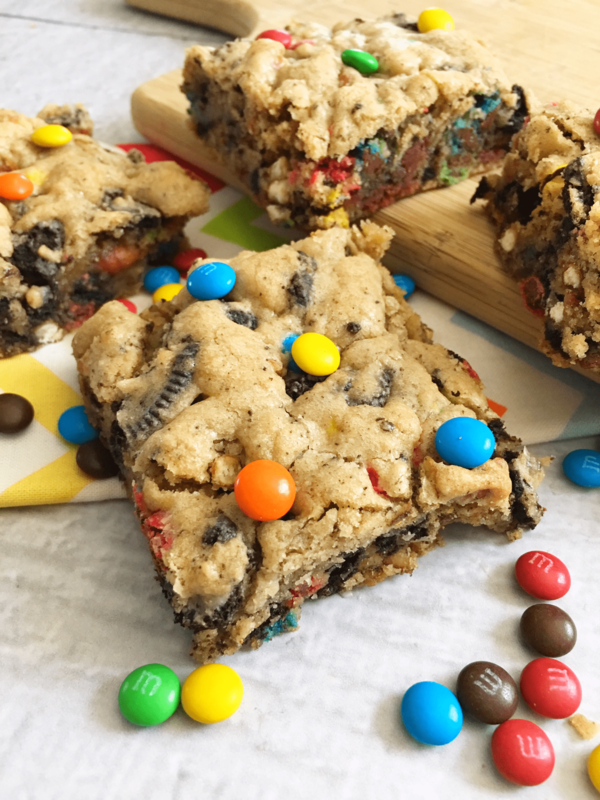 This Monster Cookie Bars Recipe is super easy to make since you add everything into a pan. A pan always seems faster to me. 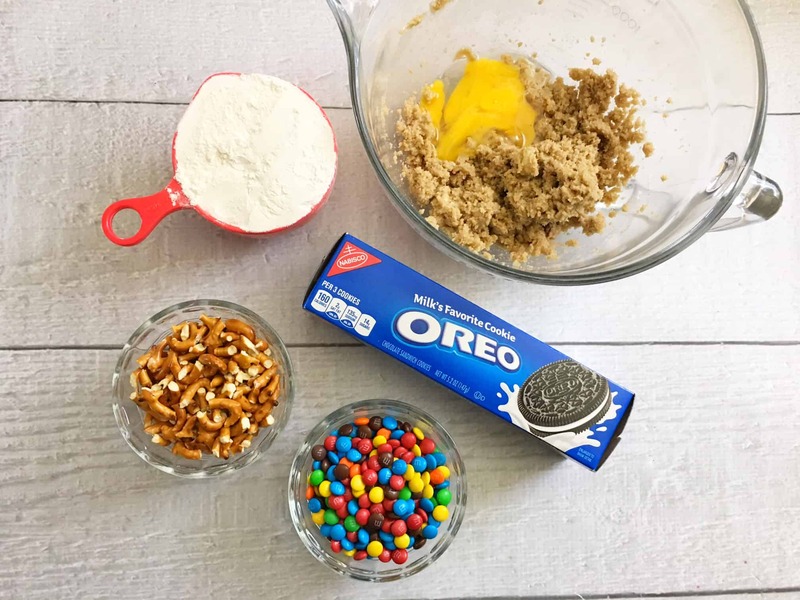 Let the kids decide what “mix-ins” they want to include with each new batch. The sky is really the limit! I hope your little cookie monsters enjoy these!